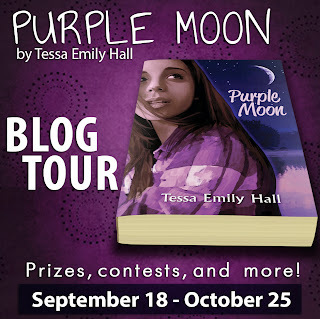 I posted a review of author Tessa Emily Hall's debut novel, "Purple Moon" which released on September the 24th and mentioned what an enjoyable read it was! Well, today, I am honored to participate in Purple Moon's blog tour and welcome Tessa as a guest on Tell the World! 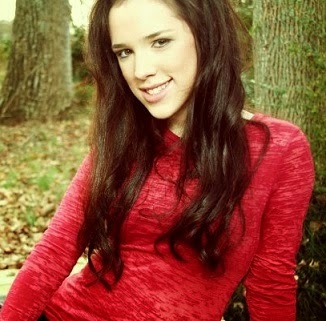 chance of a new beginning for Selena ... but having to live with her snobby cousin in Lake Lure, NC while waiting for her mom to get out of rehab wasn't how Selena was planning on spending her summer. She soon begins to wonder why she committed to give up her "bad habits" for this. Since she was a little girl, Selena (my protagonist) had dreamt of a fairy tale. She wanted to grow up, marry her prince, and live happily ever after. But as a teenager, Selena realizes knows that fairy tales do not exist. This was proven when she and her boyfriend broke up about a year ago. Although she is scarred from the relationship—deep down, Selena is still hoping to find her prince charming one day. She wants a guy who will sweep her off her feet and treat her feel like a princess. A guy who will accept and love her for who she is. I’m sure that many teenagers can relate to this desire of Selena’s—the desire to feel love, cherished, and special. But what happens when that person you thought that you loved—the very person who comforted you and made you feel less alone in life—walks out on you, leaving you with nothing but a scarred and broken heart? It’s not that I don’t believe in teenage dating; I just simply don’t think it is right for a teenager to enter a relationship just because he/she feels alone and wants to be loved. 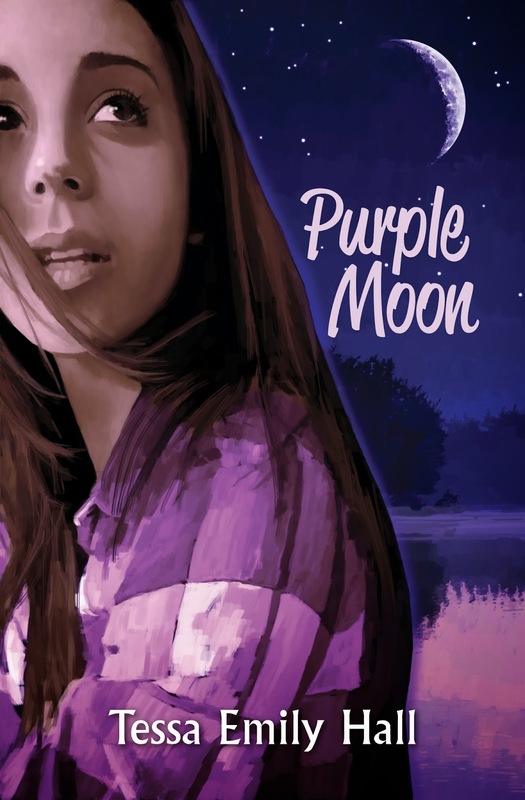 In “Purple Moon”, Selena’s best friend is also just coming out of a bad relationship. Selena regrets telling her friend, Hilarie, what she wanted to tell her after Selena and her boyfriend had broken up. She wanted to tell Hilarie that her relationship with her boyfriend wouldn’t be worth it, based on her own experience. Because although it was fun for the time being, it wasn’t worth the heartache of dating someone that just wasn’t meant for her. Instead, why not use your teen years to draw closer to the Lord, to develop a relationship with Him? An earthly romance is only a raindrop; God’s love, however, is an ocean. If you are looking for someone who understands you, someone who thinks you’re beautiful and will accept you no matter what, and someone who will treat you like a princess, look no further. Jesus’ love is unconditional, incomprehensible. And unlike an earthly romance, He will never, ever leave you or forsake you (Deut. 31:8). What more could we possibly want from a boyfriend that God’s love doesn’t already offer? If you were over at the previous blog tour stop, you should know that the previous fact or fiction was FALSE. Be sure to enter the "Purple Moon" Prize Pack! 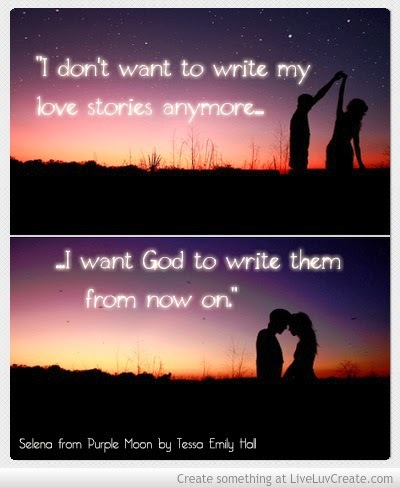 Also, don't forget to visit the rest of the blog tour stops to increase your chances of winning the PURPLE MOON Prize Pack! Click HERE for the full list of stops. So great to have Tessa share with us! What's your take on teenage dating? Leave a comment and let us know! Lovely sis! Tried entering. Not sure it worked. Keep up all the amazing work! Nice work Tessa!